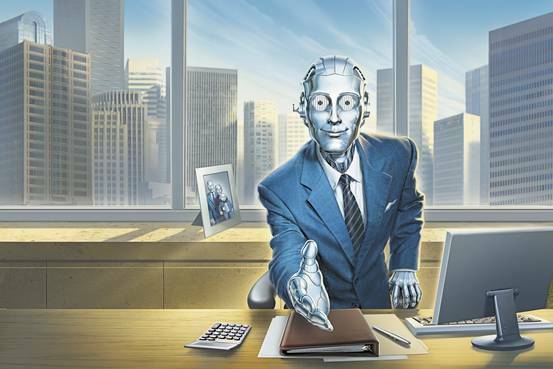 Digital Transformation And High-Tech Robo-Advisors - Do You Need One? How many times have you listened to someone else's advice when it comes to investing in stock market, whether a friend, colleague, or near stranger? Fortunes have been built and lost as a result of such guess work. and it has led to a decline in young people willing to invest. A robo-advisor is an online, automated wealth management service based on data science algorithms with no or minimal human interventions that allocate, deploy and rebalance (spreading your money in stocks, mutual funds, bonds to balance risks) your investments. Robo-advisors have typically targeted the millennials segment because these young investors want to save and multiply money faster and often don't have enough patience and wealth to warrant the attention and interest of a human advisor. High net worth Individuals also believe that online and automated investment tools can positively affect their wealth manager's advice and decision-making. Wealthfront & Betterment are two popular commercial fee based robo-advisors available today. In the Free category WiseBanyan and CharlesSchwab are making the ground. But it won’t be long before Amazon, Google, Facebook and Apple get in on the robo-advisor industry. With the pace of improvement that Artificial Intelligence and machine learningarebringing in, robo-advice has the potential to become highly personalized and specific over time. Robo advice is certainly here to stay, and it has its place in the wealth management landscape of tomorrow. But what's missing most, with robo-advisers is the personal touch. In this age of hyper-personalization, the lack of a human element is one area where robo-advisors may fall short. The robo-advisor can't replace the trusted age old advisor, your elders have worked with, who lives nearby, and can rush right over in case of need, who knows you and your family.